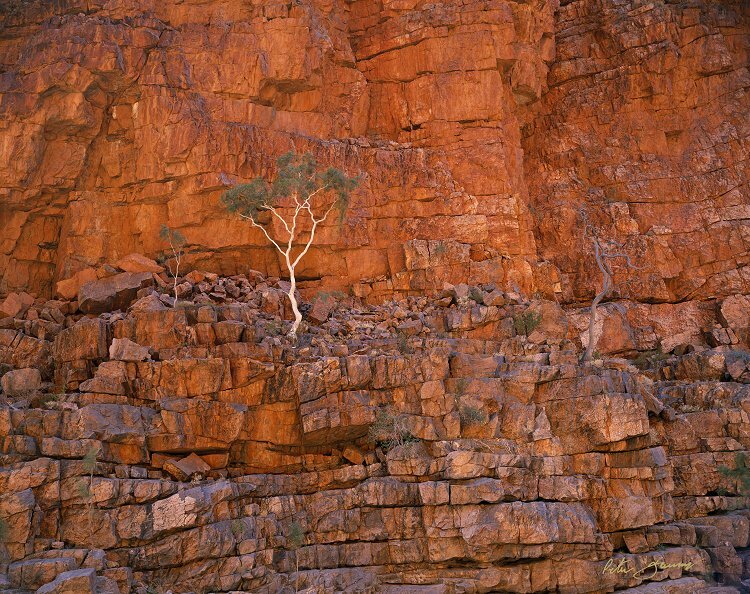 Here, a lone ghost gum grows in a seemingly impossible position on the rock wall of a wind-swept gorge in the MacDonnell Ranges. The amazing white ghost gum further enhances the inherent beauty of the enticing gorges of the MacDonnell Ranges. Looking serenely cool on the hottest of days, they stand in stark contrast to the warm colours of craggy ledges, seemingly defying any logic as to where a tree should grow.